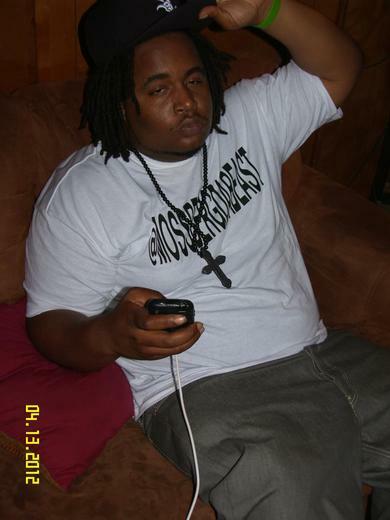 From just following him on twitter (@MossDaBeast) it is very evident that Moss is no novice to the music business. I found out that Moss is Chicago born and bred but at one point moved to Nashville for a few years. This allowed him to become very familiar with southern culture and gave him the opportunity to expand his knowledge of the music business. Now; with a 8 year background in management, Moss is working hard on his solo career. Released in August of 2010, his 1st solo mixtape ”Almost There” was well received by fans with songs like “They Know Its Me” and “When It Get Gutta” (which was nominated for the hottest single in the 2010 “Hip-Hop in the Ville” awards). Since then he has released several mixtapes (all available on Datpiff.com). His first solo album “Let The Band Play” is scheduled to be released in the fourth quarter of this year, with singles such as “Got That Bag” which is available on Itunes, along with “Hangover” and “I Apologize” featuring Vyrgo. Moss was once told “I didn’t sell a million records until I met a million people” and that is the motto Moss now lives by as he travels and reaches out to his audience nationwide.